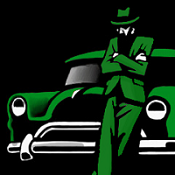 Mafiascene.com - View topic - Anyone here plays gta 4? Anyone here plays gta 4? Posted: Wed Aug 12, 2015 8:47 am Post subject: Anyone here plays gta 4? Posted: Wed Aug 12, 2015 11:15 am Post subject: Anyone here plays gta 4? Posted: Wed Aug 12, 2015 1:12 pm Post subject: Anyone here plays gta 4? I've also had played GTA IV! First, choose from the categories what you you want to download and click on it's name or photo. Then, scroll down the page. You will have a blue rectangle with "DOWNLOAD" and the file name written on it; click on it and after a half of minute, the mod will be ready to download. But, if you want to download the file without a automatic installer, just click the link under the blue rectangle. All the rest goes in the same way as above. Posted: Wed Aug 12, 2015 10:29 pm Post subject: Anyone here plays gta 4?